A lot of companies start a new (fiscal) year with resolutions: robust goals followed by excitement and motivation to kick it all off. 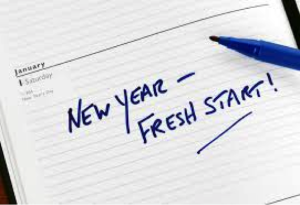 There is thoughtful planning and time committed to making a new year successful. Oftentimes though, it’s the start that stops most people. Change can be hard, and the thought of overhauling something as foundational as your email service provider (ESP) can be daunting. At SendGrid, we’re here to help. Being new to SendGrid myself, starting in my current role in August of 2015, I realized how much there is to learn about the email space and the SendGrid product. Luckily, SendGrid Docs is an invaluable resource for other newbies like me. So, I want to discuss a few of the most common FAQs that we hear from new customers and prospects and direct you to helpful resources, like the docs, that will help with your transition to SendGrid. 1. Do you guarantee delivery rates? If any ESP tells you they guarantee deliverability, RUN. There are a number of factors that impact deliverability such as the types of email you’re sending, your industry, your sending habits, and the cleanliness of your list. SendGrid does have optimization tools, as well as a Deliverability Center available to you that can help you achieve strong deliverability if you are willing to follow some of our best practices. We also have a designated team of rockstar deliverability experts who can work with you 1:1 if you don’t have the time or resources, or if you’d just like some more personalized help. Contact our sales team if you need additional information on our personalized delivery services. 2. What is the best way to warm up an IP address? The answer to this question is different depending on the type of mail you are sending through your associated IPs (transactional or marketing) and the type of business you are (established or new). Although the content of your emails doesn’t matter to SendGrid, (meaning you can send both transactional and marketing emails through our SMTP API) we often recommend separating your IPs to segment your traffic in order to get better deliverability and email engagement tracking. We’ve also automated this feature to allow your traffic to be segmented through IP Pooling API endpoints. SendGrid can also automatically warm up dedicated IP addresses by limiting the mail that can be sent through them per hour. We can also add your dedicated IP to a warming pool if you don’t have the time or flexibility to wait to warm up your IP. We will send your mail through IPs that are already warm and slowly transition your mail to your own dedicated IP. See our IP warmup doc page and warmup schedule for more information. 3. How do I get a dedicated IP address? One of the things that sets SendGrid apart from some of our competitors is that we offer dedicated IPs on most of our sending plans. A dedicated IP address will allow you to develop your own reputation with Internet Service Providers (ISPs) which can help increase your deliverability. All Pro and Premier level plans include one dedicated IP address. Free, Lite, and Essential plans send through shared IP addresses. If you have a Pro (or higher) plan, you can purchase additional dedicated IPs for $20/month per dedicated IP. If you’re not sure if a dedicated or shared IP is for you, check out more information in our blog post, Shared and Dedicated IPs: Which Should You Choose?. 4. What is the difference between transactional and marketing email? Do I need separate accounts for each? For SendGrid, the content of your emails doesn’t determine the number of accounts you need to have. You can use SendGrid to send both your marketing and transactional emails through via SMTP relay or APIs. Or, you can use our new Marketing Campaigns feature set to segment lists, build templates with our Drag & Drop editor, A/B test, and much more. Still have questions? Contact our sales team for more information on how to get started with SendGrid, and start your new year off with a success! Alyson Baber is the Director of Sales for SendGrid. She is passionate about building high performing teams and motivating her employees to achieve more than they believed possible. She has a strong desire to delight clients, ensure maximum account performance, and ultimately generate customer referrals and a network of businesses/clients working in collaboration with one another.